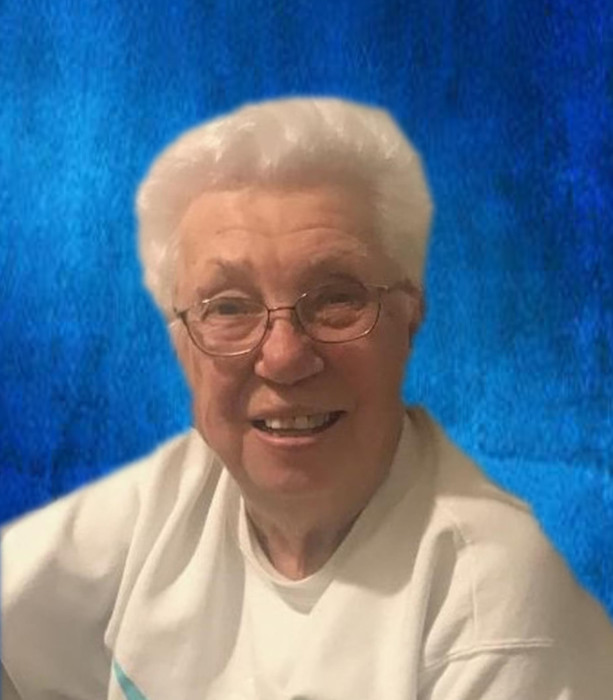 Marjorie (Price) Shepherd, 87, of Moberly went home to be with her Lord and Savior on February 4, 2019 at University of Missouri Hospital in Columbia following a stroke. She was born March 9, 1931 in Huntsville, MO to Eugene and Grace (Ballew) Brockman. Prior to retirement she worked alongside her husband, Sheriff Orville Price, at the Randolph County Jail in Huntsville for 17 years where she worked in many capacities. In later years she was a cook for the Moberly High School. She married Orville Price on September 17, 1946 in Macon, MO and he preceded her in death in August 1985. Also preceding her in death were her parents and three brothers; Carl, Willard and Harold Brockman, a granddaughter, Kimberly Sue Viers and a grandson, Cory Joe Price. Marjorie married Wilber Shepherd on March 29, 2008 in Moberly and he survives of the home. Also surviving are her children, Sandra (Price) Viers and her husband Charlie of Moberly, Nancy (Price) Dennis of Columbia, Tim Price and his wife Beth of Moberly, Mark Price and his wife Carla of Huntsville, and Jeff Price and his wife Amy of Moberly, step-children; Deb Frans and her husband Jerry, Barb Buckman and her husband John, Dennis Shepherd and his wife Vicki all of Moberly, Mike Shepherd and his wife Charlut of Columbia, 13 grandchildren; Bret Price and his wife Ericka of Huntsville, Brittany Esry and her husband Daniel, ,Abbey Price, Joshua Price, Tyler Price and his wife Hannah, Lori Tagai and her husband Ed , Tiffany Ross and Rob Kloski all of Moberly, Jaci Schowengerdt and her husband Brandon, Kristy Dennis all of Columbia, Michael Viers and his wife Christina of Excello, Todd Dennis and his wife Michelle of the state of Florida, 15 great-grandchildren; Araya, Alli, Asher Price, Ezekiel Price, Bennett Esry, Dakota Ross, Isabella Ross, Chloe Ross, Liam Kloski, Titan Viers, Chavese Viers, Cheynne, Paige and Hailey Dennis and Lillian Tagai, two brothers, Sammy Gorham of Jacksonville and Dorman Gorham of Columbia, sisters- in- law, Darlene Brockman of Cairo and Mary Ann Brockman of Eldon, many nieces, nephews, other relatives and friends. Marjorie was a member of the Eastern Star, United Methodist Women, ABWA, and she was a Lioness. She was named Woman of the year at the Huntsville Old Settlers and was proud to ride through the parade in a convertible! She was raised a Baptist and was baptized in the Huntsville Baptist Church. She was a faithful member of the Jefferson Avenue United Methodist Church and Huntsville United Methodist Church, for over 60 years. She was very well known for her chocolate pie, coconut crème pie and enjoyed spending time with her family and friends. Memorial Contributions to the Orville and Marjorie Price Living Memorial Scholarship or the Jefferson Avenue United Methodist Church would be appreciated. Services honoring and celebrating Marjorie’s life were held at the Jefferson Avenue United Methodist Church. Committal Prayers and burial followed in the Sugar Creek Cemetery.